Learn how to cook various authentic and luxurious dishes, including a delicious wagyu steak! Cook an entire meal consisting of 8 different dishes, from appetizers, entrees, and even dessert! 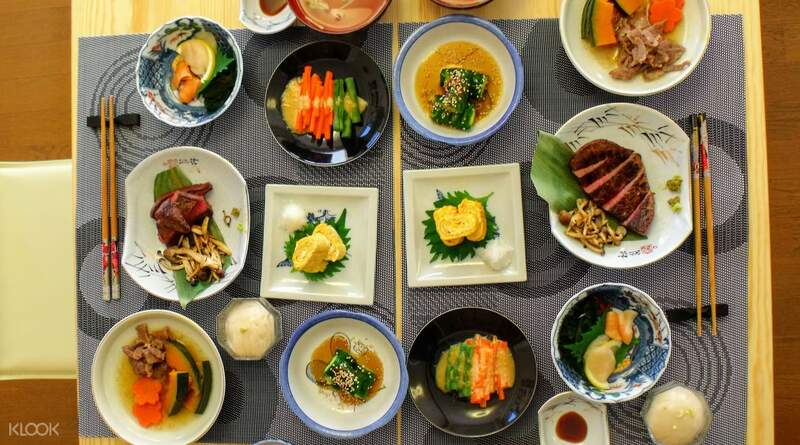 Try your hand at cooking delicious and authentic Japanese kaiseki, a luxurious meal with multiple courses, with this unique three-hour cooking class in Tokyo! Head directly to the cooking studio in Shinjuku and enjoy a cup of hot green tea as you wait for class to begin. 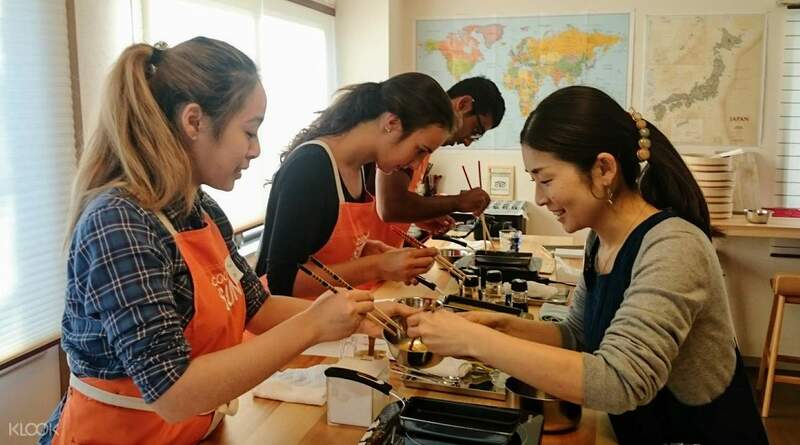 Get a brief introduction about the class from your English-speaking instructors before you familiarize yourself with the key ingredients needed for the class, such as dashi, a popular soup stock often used in Japanese cuisine, as well as the various seasonings involved like soy sauce, mirin, sake, and miso. Master the proper methods and techniques of Japanese cooking. After the lesson, you'll get to sit down with your classmates and savor the fruits of your hard labor by trying out your own kaiseki meal. After the lesson, you'll get to sit down with your classmates and savor the fruits of your hard labor by trying out your own kaiseki meal. Learn how to make 7-8 different dishes, including appetizers, entrees, and even desserts! Savor the fruits of your labor by trying your own handmade kaiseki meal! one of the best things i did when i was in tokyo. i could get an expensive kaiseki meal in kyoto just for the heck of it but that won't be as memorable as making my own kaiseki meal!! superb and hands down to people of cooking sun tokyo. you guys are the best! one of the best things i did when i was in tokyo. i could get an expensive kaiseki meal in kyoto just for the heck of it but that won't be as memorable as making my own kaiseki meal!! superb and hands down to people of cooking sun tokyo. you guys are the best! It was a very enjoyable cooking lesson! The classroom is very homie and the teacher is very nice. The most important thing is that the Kaiseki food we made are both tasty and good looking. The recipe is really easy to follow. It was a very enjoyable cooking lesson! The classroom is very homie and the teacher is very nice. The most important thing is that the Kaiseki food we made are both tasty and good looking. The recipe is really easy to follow. Excellent experience. Teaching chef Aya San very good English and patience, making the class very enjoyable. Good environment and comfortable. Excellent experience. Teaching chef Aya San very good English and patience, making the class very enjoyable. Good environment and comfortable. The instruction to find the location was bad as the address listed on the voucher cannot be found on google maps. Ended up late by over 15 mins. Thankfully the cooking instructor waited and the experience was very good. She was very clear, patient, informative and nice. Overall made the experience enjoyable and would recommend to others. Dishes we cooked ended up very tasty too! The instruction to find the location was bad as the address listed on the voucher cannot be found on google maps. Ended up late by over 15 mins. Thankfully the cooking instructor waited and the experience was very good. She was very clear, patient, informative and nice. Overall made the experience enjoyable and would recommend to others. Dishes we cooked ended up very tasty too! Interesting to follow Hiromi San in prep, foundation and history of Kaiseki cuisine. Hiromi San is fluent in English and our cooking was tasty too. Interesting to follow Hiromi San in prep, foundation and history of Kaiseki cuisine. Hiromi San is fluent in English and our cooking was tasty too. Great experience to learn about Japanese culture and dishes. Good instructor provides easy to follow instructions. Clean and tidy cooking studio located in residential area but easy to find using google navigation. You will be amazed and satisfied with the outcome, and the best is to enjoy the dishes after your cooking. Highly recommended! Great experience to learn about Japanese culture and dishes. Good instructor provides easy to follow instructions. Clean and tidy cooking studio located in residential area but easy to find using google navigation. You will be amazed and satisfied with the outcome, and the best is to enjoy the dishes after your cooking. Highly recommended! 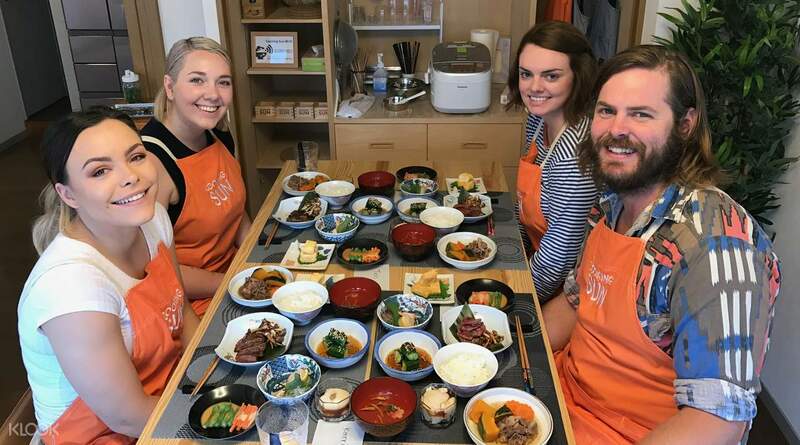 It's definitely a fun experience for the foreigner to learn how to cook authentic japanese meal. You will be able to enjoy your lunch after it. Must try! 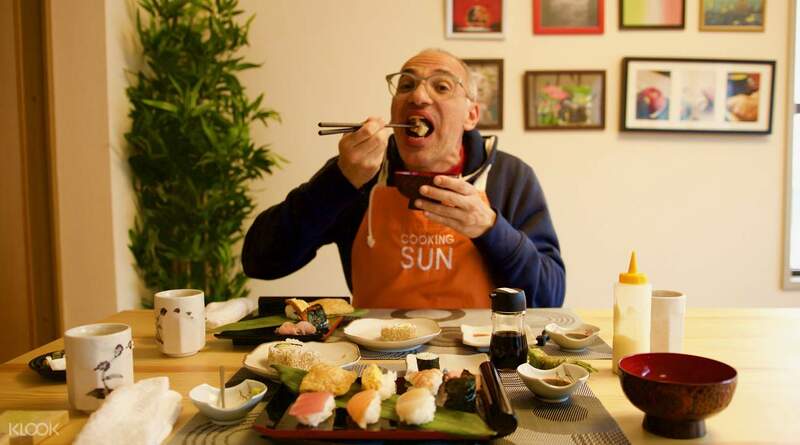 It's definitely a fun experience for the foreigner to learn how to cook authentic japanese meal. You will be able to enjoy your lunch after it. Must try! I thoroughly enjoyed the kaiseki cooking experience. 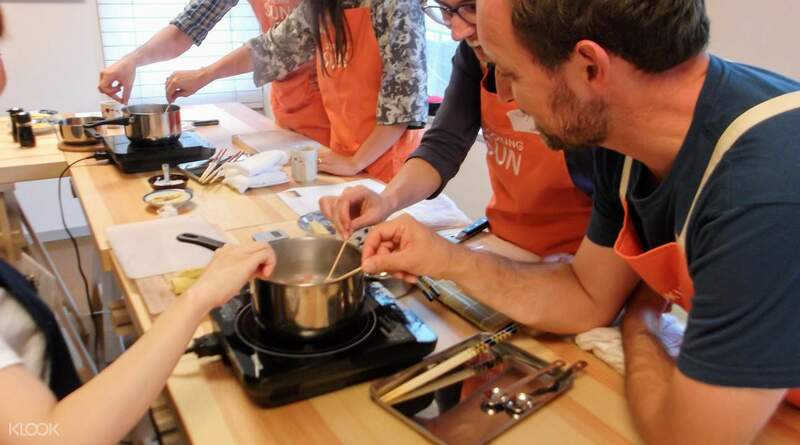 The instructors shared various Japanese ingredients and the flavour they provide. It was interesting to learn about how some foods were prepared from scratch. The food was delicious and I'm inspired to cook using the recipes. The atmosphere of the class could have been made more fun if the instructors took pictures and initiated group photos. I thoroughly enjoyed the kaiseki cooking experience. The instructors shared various Japanese ingredients and the flavour they provide. It was interesting to learn about how some foods were prepared from scratch. The food was delicious and I'm inspired to cook using the recipes. The atmosphere of the class could have been made more fun if the instructors took pictures and initiated group photos.